Discussions at the upcoming Safe Cities Conference in Brisbane will have community and public safety as the main theme, with several keynote speakers sharing their knowledge and expertise with the audience. Being held on 12th July in Brisbane, the one-day Conference will provide insight on diverse topics including digital safety and security, crime prevention, and designing safe neighbourhoods. While a variety of keynote speakers will be speaking on managing safety and security within Australia’s vibrant communities, concurrent speakers will provide further insight and awareness about living, working and playing and keeping shared spaces safe. Register for the 2017 Conference to enjoy a range of benefits including participation in an informative program, certificate of attendance to claim professional development points, networking opportunities during meal breaks, and access to presenter podcasts post-conference. 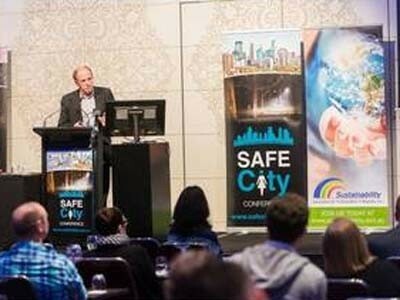 The 2017 Safe Cities Conference will be held at the Hotel Grand Chancellor Brisbane.